This car cartoon is just perfect for toddlers. 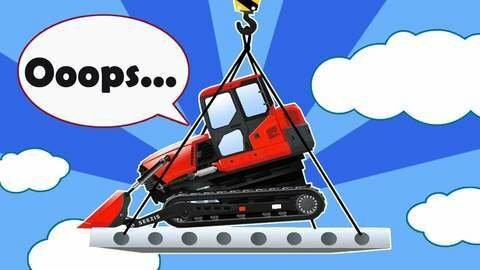 Red bulldozer accidentally gets lifted to the top of a tall building. Yellow excavator sees his scared friend and asks red crane for help to get him down. For more of the best car cartoon videos online, go to SeeZisKids.